In all fairness, this only took place after the Chicago Marathon mishap (really only leaving four weeks to keep quiet – rather than the full-blown 18 weeks a typical marathon training schedule has). Many of you may have seen this video recently circulating on social media. For those that haven’t – it’s a tongue in cheek video poking fun at those of us that just can’t seem to help ourselves when it comes to talking about our running endeavors. I take full responsibility for typically being one of those runners. 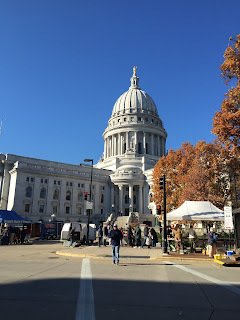 Downtown Madison the day before the race. 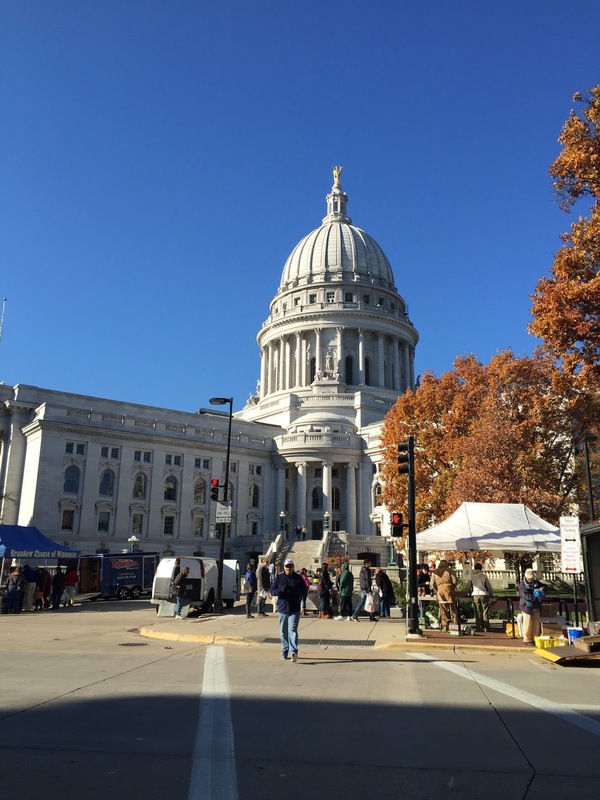 Pro-tip: Arrive at the expo early and leave time to walk around the farmers’ market, which spans all four blocks around the Capitol! There were a number of reasons I decided to keep this race on the down low. First, I was still completely shaken up from having stopped at mile 17 at Chicago. While I still believe it was the right choice, I would be lying if I said that it wasn’t hard to face the constant inquiries about “how my race went.” While those asking clearly meant well – it also caused a lot of rehashing details that I could have done without. I figured in this case, if God-forbid something were to happen again, no one would ever have to know. Second, I didn’t actually officially decide to race until the day before when I signed up at the expo. I was committed to not putting any pressure on myself, which meant keeping my options open. Finally, and selfishly, I needed this race to be just for me. 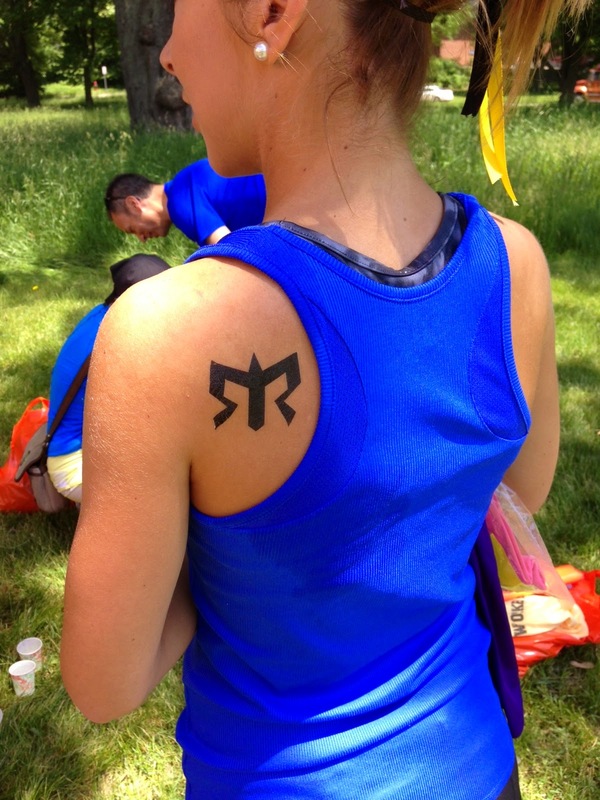 It was my comeback race, after almost two years of seemingly endless adversity. I wanted it to be fun – to be a celebration. I didn’t want to worry about split times or qualifying for Boston. It’s been the rare occasion that I have allowed myself to run without expectations and I knew that this would be far easier to accomplish if I kept my plans on the down-low. The race itself was amazing. I may be a little biased, because I am absolutely in love with Madison. However, the event itself was incredibly organized and well-run. We stayed in a hotel on the West side of town, which was about a 10 minute drive from the start line. We left the hotel at 5:45 a.m. (for a 7:00 a.m. start) and had more than enough time to find parking (not a problem at all) and walk toward the start. Runners didn’t even start filling the corrals until about 6:40 a.m., which was far different than my experience at Chicago this year (where despite leaving the hotel over an hour before, we did not make it into the corral until after the gun went off). There was no seeding, as there were only about 1000 runners. There were, however, a number of pace groups offered. Another thing worth noting is despite the fact that there is also a half marathon run on the course, it does not start with the marathon and does not follow the same course (so there were limited, if any, issues with congestion). Also, no need for cheap “throw away” clothes (which are likely to be necessary for a November race), as friends and family can stand directly outside the start line and the runners can hand-off items. The course itself was absolutely beautiful, but humbling. The race begins by running through the Arboretum (approximately miles 1-6). I decided to start with a pace group to keep myself honest with my splits, as I knew that the course was incredibly hilly and since I had initially been training for Chicago as my target race, I had done no hill training. After exiting the Arboretum, you run through the University of Wisconsin campus (miles 7-11). There were a few killer hills during this segment (there was one point where I actually yelled out “you’ve got to be kidding me” where I thought I had hit the top, only to turn the corner to face an entirely new summit). By this time, I had separated from the pace group and despite the hills, was feeling strong. After exiting the campus, you run through the downtown and on the other side of the capitol. There is one stretch (miles 13-16) that was fairly unremarkable, in that you are mostly running along commercial buildings. During this portion of the race, I was still holding steady physically. However, this was also the part of the race where the “demons” start coming out (i.e. where you realize despite the fact you are doing pretty well physically, you still have a long way to go). Coming up to mile 17, I was starting to feel it. 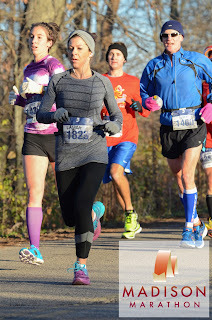 However, I kept reminding myself how much better I was doing at this point in this race compared to Chicago, and encouraged myself to keep going. Miles 18-20 you run though a neighborhood, where there were some slight hills. This is also where the race started to become a blur for me. 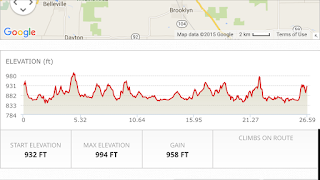 Course elevation profile – pretty hilly for this flat-lander! By mile 20 the race became much more scenic (running along the lake and through trees – absolutely stunning), but physically this is where the wheels fell off. The hills, while rolling, just didn’t seem to end. Many people, even those at the front of the pack, stopped to walk portions of the uphills. This is also where the self-negotiations start (okay, just make it to the tree, the water station, the next block). 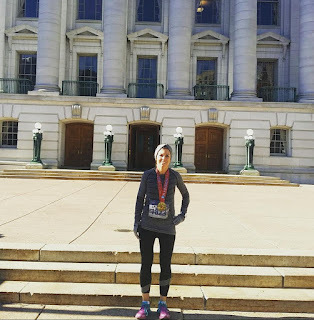 I also started questioning my sanity – swearing I would never, ever run a marathon again. By mile 23 I was complete delirious. At one water station, I grabbed Gatorade instead of water and couldn’t even get the words out to inquire as to how to get a water cup. The last mile was also brutal. You know you are close to the finish – but you can’t see it. It is also uphill. By the time I crossed the finish line, I was absolutely spent. I literally couldn’t take another step. I finished about where I expected to. While definitely not a PR, I am incredibly happy with how things went given the circumstances. Marathon #5 in the books! I did the marathon post-race hobble down the chute. There were bags of Panera sandwiches, chips, and cookies for runners, along with water and chocolate milk (and beer). Because the race finishes in the downtown, there are plenty of restaurants nearby as well. 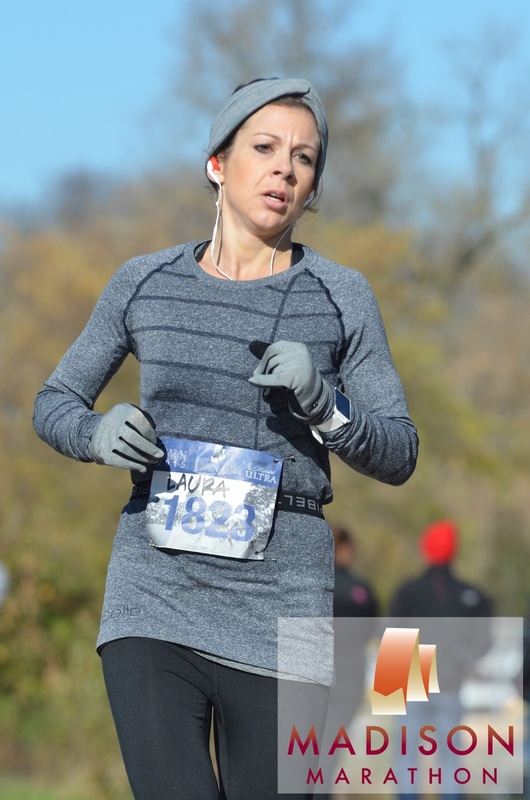 Another huge perk – the photos from the race are free and were sent out the very next day. Overall – I was extremely impressed with all aspects of this race. The event ran seamlessly, the course was incredible (yet challenging), and there was surprisingly good crowd support. I would absolutely recommend this race, and in fact, can’t wait to sign up for it again (clearly, my swearing-off marathons hasn’t lasted long). As all athletes know, nutrition is a critical (but often neglected) part of training. What we eat before, during, and after our workouts will impact both performance and recovery. For those of us with sensitive stomachs, finding the proper balance can be frustrating and leave us stuck in a food-rut. 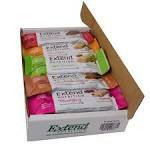 That’s why I was so excited when Extend Nutrition asked me to try their Extend Nutrition Anytime Bars. I must say – food in bar form has become my go-to snack before a workout because of the convenience factor. I am often running from one place to another and bars are easy to eat while on-the-go (resulting in minimal crumbs in the car)! Obviously, my first question with regard to the Extend Nutrition bar was what makes it different than the dozens of other bars out there? The first thing I noted was that Extend Bars claim to help control blood-sugar levels. They are also sugar free (sweetened with Stevia), high in protein, and have a low glycemic index and load. Another thing I noted is that they have significantly less calories and fat than most of the other bars that I eat (130-140 rather than 250-300 calories and 4.5 rather than 10+ grams of fat). To me, this is a huge plus because I would prefer not to have my pre-workout snack be a huge calorie bomb! They are also gluten free – which was pleasantly surprising seeing as they have a cookies and cream flavor! I decided to give the cookies and cream flavored bar a try before my long-run last Saturday. Taste-wise, the bar was delicious and didn’t taste super protein-y or chemical-y, as is often the case with similar products. As far as performance, I felt good for my entire 21 mile run (no bonking) and it kept me relatively full (I didn’t finish the run feeling famished, as is sometimes the case). Having the pack of bars in my car also unexpectedly came in handy later in the day too – I had an all day bachelorette party and little access to food! The bar was definitely enough to fill me up and keep me energized for the all-day (and night) festivities. (Another perk of food in bar form – easy to have a stash in the car for such emergencies)! Now for the giveaway…one lucky reader will get a $25 gift card to Extend Nutrition. Please note that I received a sample pack of Extend Nutrition Bars in exchange for writing this review. All opinions expressed herein are solely my own. I did not receive any additional compensation for writing this review. Now that the days are getting shorter, I find that my early morning runs are often starting out in the darkness. While I enjoy the quiet solitude (once I’m out and on the roads), it makes getting out of bed that much more difficult. 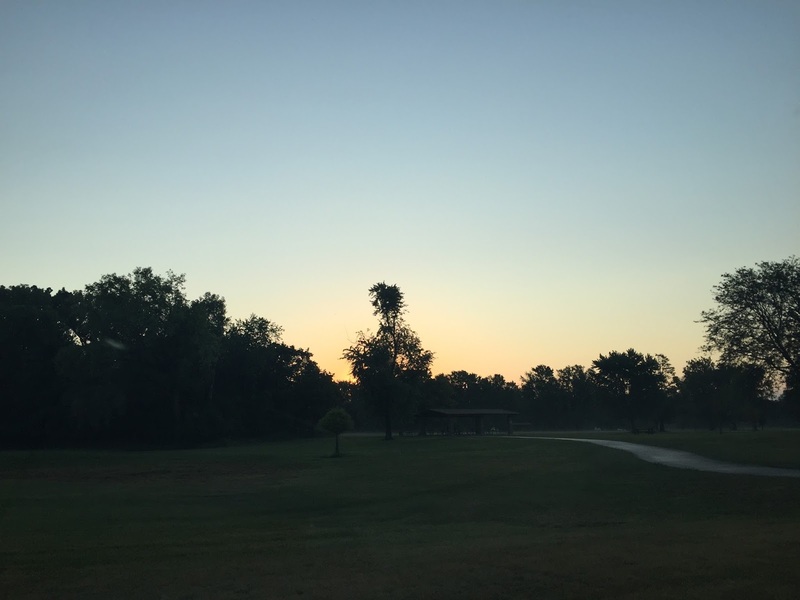 One thing that I have noticed about the quiet morning runs is that I am much more attuned to my surroundings rather than the run (there is something to be said about not being able to see your watch). I know which neighbors start work early and which dogs get morning walks. I have come to learn that the house on the corner has a lawn gnome with glowing eyes and that a family of bunnies live on the cul-de-sac across the street. Sometimes, in those first moments of sunlight, I feel as though I am the only person in the world. As much as I love my morning runs – getting up early comes at a price (and with late-night meetings three nights this week that price seems to be sleep). Cue my second favorite thing – coffee. Somehow, coffee always fits in my morning ritual. From the quick cup from the Keurig during the crazy weekday morning rush to the leisurely latte following the weekend long run. Much like running, coffee has become central to my daily routine. 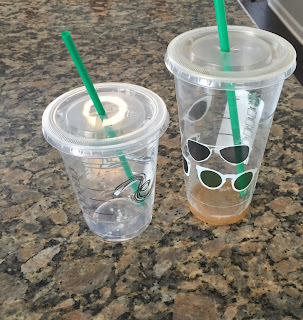 Naturally, my love of both coffee and running has raised the question – does my coffee habit impact my workouts? 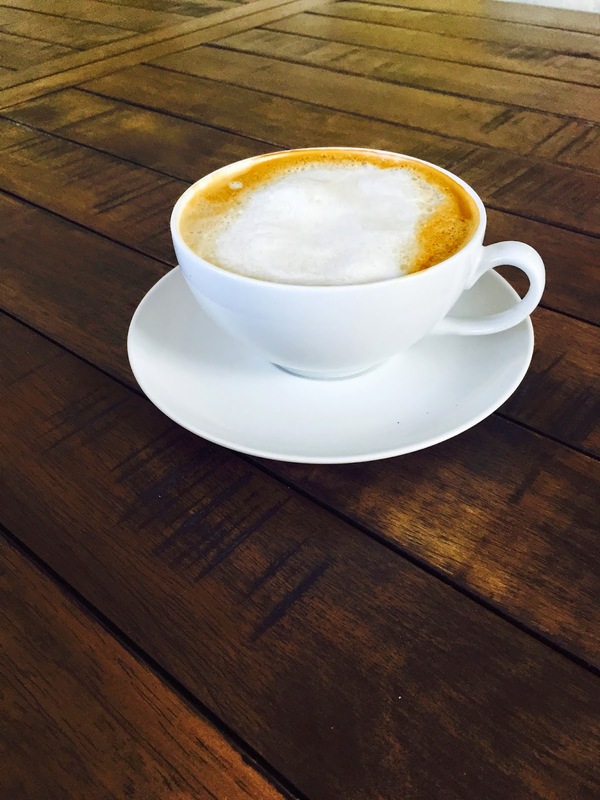 So in the spirit of this coffee-related theme – check out another coffee inspired post by Kay Lynn at WeightChronicles regarding Coffee and Your Health! Are you a coffee-loving runner? Can you drink coffee before a workout – or do you generally wait until after? 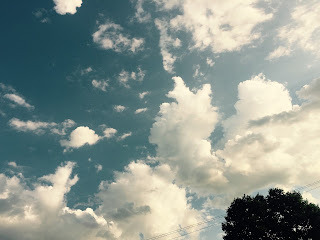 One of my resolutions for 2015 was to regularly post to this blog. I had a pretty good streak going in the early months of this year, and then as always, life happened. In “real life” (a.k.a. non-running life) we ended up selling our house and moving out of the city to be closer to work (both of us work in the Western suburbs). While the process itself was entirely time-consuming and stressful (such is the nature of real estate) having a 10 minute commute to my office has been life-changing. Effectively, I have hours added back into my day. We officially moved a little over two weeks ago and are now trying to get settled. I love our new house so far and am really excited to decorate. It is absolutely crazy how much more of a house (and a yard!) you can get out here. Having so many hours added to my day has also been great for being able to fit in a run before work (or after work) or anytime, really. However, with a new house comes new territory. My first run out here was almost comical. I tried to go for a quick three miles and figured the best way to do this would be an out-and-back route so as to avoid getting lost. Lesson #1 – the streets in my neighborhood do not follow a grid pattern. In fact, it’s cul-de-sac hell (which is great for children playing – not so much for running). So somehow, I ended up running the same half mile loop over and over. Each time I thought I was taking a new way and *bam* right back where I started. Even more embarrassing was passing by the same people (mowing their lawn… sitting outside…etc.) over and over like some deranged person. I am fairly certain I have already established myself as the resident crazy running person. Welcome to the neighborhood! I have also started to realize that I generally come across the same people on my runs, regardless of the time of day that I am out there. In fact, there is one girl that has become my silent nemesis. Back when I was healthy (before this “injury” took over my life), I probably would have been running with her. She always looks completely effortless, just gliding along the pavement at a fast clip, barely breathing. Every time I see her I innately pick up my speed (ego much?) because I don’t want anyone to catch me appearing how I feel (disheveled, huffing and puffing). I know that I should be thankful that “at least I am running,” but the fact is, I could still run (at this level) prior to having surgery. I chose not to because of the biomechanical issues and the gait breakdown. All surgery seemed to have done was to make things worse (thus giving me a “worse” baseline of comparison) so that I could build up to exactly where I was before and make it look like I was progressing. At the end of the day – my mileage remains low, I can’t run hills, my pace is far from what it was. I run every step of my run with discomfort. Do I keep spending time (and money) fighting this? Will one day everything just “click” back into place? Or is this the new normal? I have come to the realization that one reason that I have stopped writing as much because I feel like it’s always more of the same. Nobody wants to read another person’s complaints all of the time (nor to I want to complain all the time), but it’s difficult because this injury has impacted everything that I do. For better or worse, it has become a part of my life. And the root of the frustration is not necessarily “not being my normal self,” but rather feeling that after a year and a half – there are no answers. Time and patience are hard enough. But time and patience – with no idea what is happening – can be incredibly discouraging. I am a little late with my accountability update (we have been in the process of listing/selling our house and searching for a new house) but I figured it was better late than never. Overall, I did a pretty good job of sticking to the plan. Thursday got a little crazy with a change in my work schedule (I ended up missing the yoga class) but otherwise I’m pretty happy with it. This week was similar, but I ended up really slacking on my physical therapy and mobility. Although now that I am over 7 months post-surgery, I am okay with slacking a bit now since my strength is back I did not slack at all in the critical months following surgery. This week I have run 3 days (hopefully 4 with today) and been keeping up with my chiropractic appointments. So far this morning, I am trying to catch up on life. It helps having a live-in barista who surprises me with an amazing homemade latte! For next week, I am hoping to follow the schedule that I created above. It has a good mix of running and cross-training and I really need to commit to a set schedule (read: no slacking!). This upcoming week should continue to be interesting, as our attorney review period on the sale ends tomorrow and once that is complete we will be able to move forward on the purchase of a new home! Being closer to work is going to be a game changer… essentially adding 2-3 hours back into my day. Here’s hoping for a productive week! Since I started a new job a few months ago, I have been pretty much been living out of my car. It’s an hour plus drive from home, so packing for the day is critical. I also work a lot of late meetings, which means my key workout time will be in the late afternoon and early evening (with no chance to go home in between). Cue the search for the perfect gym bag. This search started a few months ago. Admittedly, I have a number of bags at home that I could use. In fact, the bag I am currently using is a falling apart Lululemon shopping bag. Is it functional? Yes. But with my current lifestyle springing for a new bag that I won’t fear will fall apart en route to the locker room seems to be worth the investment. The shopaholic in me immediately set my sights on fashionable bags well above my price range. Recently, as my husband and I were shopping at TJMaxx for housewares, I found a beautiful Kate Spade duffel bag haphazardly left on a chair near the fitness section. I carried it around the store for a while, mulling over whether I could justify its purchase. I modeled it in the mirror. But even at the steep discount store price, I simply couldn’t commit to spending that much money on a bag (especially if I still wanted to pay my bills). So I did what any good user of social media would do – I crowd sourced my Facebook friends for recommendations. 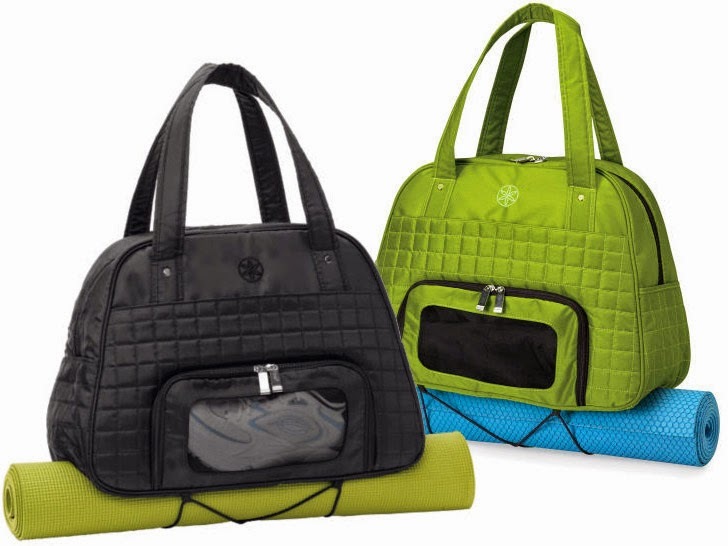 Enter the Gaiam Everything Fits bag. Initially, when the bag arrived at my doorstep I was a little concerned. It came shipped in a flat package and I wasn’t sure what to expect. However, once unfolded, the bag exceeded my expectations. It is large without being overly bulky. The shape is such that it carries more like a large purse rather than an oblong duffel. It also has a separate pocket for shoes, which is a nice bonus. I don’t travel lightly and I have found it more than sufficient to hold everything I need (makeup case, hair straightener, multiple changes of workout clothes, shoes, etc.) It also fits perfectly into the gym locker. All in all, I have been very satisfied with my purchase. Lately I have been at a loss for motivation. I start the day with the best of intentions, but those quickly go out the window when I wake up after a full night of sleep and realize just how darn tired I still am. I have tried all the quick fixes like trying to drink more water and eating healthier, but instead of committing myself into being healthier in the long-term, I expect immediate results and turn back to over-caffinating shortly thereafter. It’s a vicious cycle. Another thing that I have realized is how much time in my day I actually lose due to attempted multi-tasking. Instead of focusing on what I have to do in that instant, I can’t seem to shake the constant mental checklist festering in the back of my mind. And I’ve realized that instead of being more productive, it just stresses me out, exhausts me, and prevents me from actually getting anything done. So this week I am challenging myself. I am going to live in the moment and tackle may day by addressing one thing at a time. Instead of to-do listing my life away, I am going to start doing. I am going to be intentional with my time. 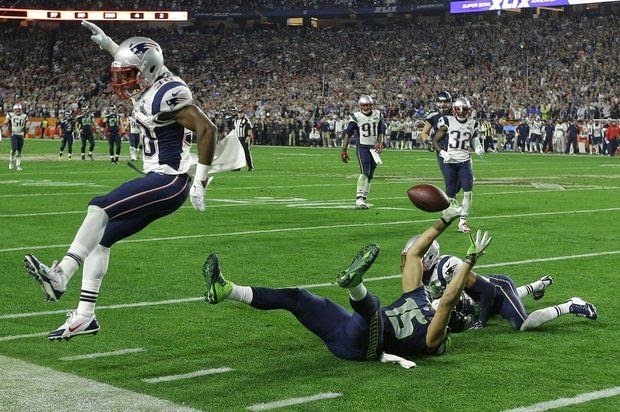 As the hype of Superbowl XLIX slowly fades away, there are many lessons to be learned from the craziness that infiltrated the game. As a University of Wisconsin alum and a huge Russell Wilson fan, I unabashedly jumped on the Seattle Seahawks bandwagon. There is also something to be said about rooting for the underdog (even Eminem has acknowledged Wilson’s “turning nothing into something”). So I was absolutely devastated when Wilson threw that bizarre game-ending interception. The media was awestruck. None of it made sense. In that moment, it was just me and a plate of picked over hot wings, asking whhhhhhhhyyyyyyyyyyyyy?!?! However, when stepping back and reviewing the game, there are a number of lessons that transcend football and apply more generally to life. #1 – Sometimes no matter what you do, or how much you prepare, things won’t go as planned. Wilson was set to win that game and had proven his abilities all season. In those final minutes of the game, the stars seemed to align and everything seemed to be setting up for a big Seahawks win. But they didn’t. There are a few takeaways from this one. Mainly, life isn’t fair and it doesn’t always make sense. Jobs, relationships, friends, families – they are all fair game for the unexpected. Sometimes everything seems to be going well and – BAM – then it doesn’t. In running, this happens a lot. You can put in all the training you want, but when race day comes, there are variables that you can’t control. The weather. Blisters. Cramping. It all comes with the territory. In this case – duh. 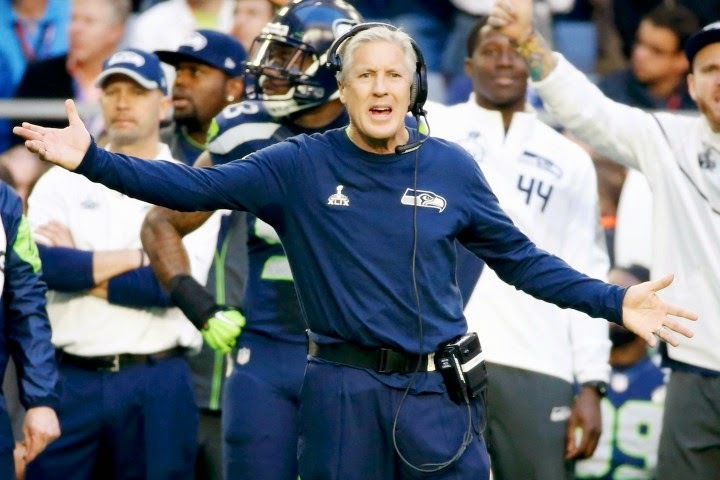 Nobody could understand why the Seahawks called a play in which Wilson was instructed to throw the ball. I mean, c’mon. 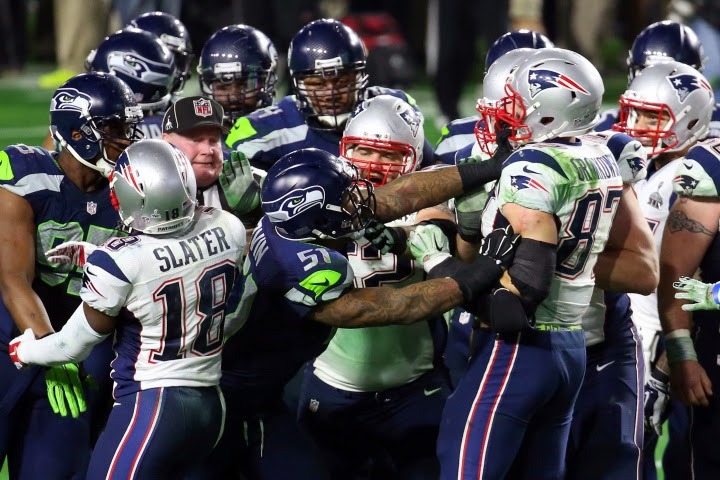 The Seahawks have a running back nicknamed “Beastmode.”The chances of the Patriots scoring in the final seconds of the game seemed far less probable than taking the chance of running a play that could result in an interception. But the call was made and Wilson followed this directive (for better or worse). In life, the person making the calls may be a spouse or a parent. In running, the person in charge may be a coach or a running buddy. It may even be yourself. It is inevitable that bad decisions will be made. When they are, we must learn to live with the consequences (and hopefully learn from our mistakes along the way). The one redeeming thing about this game was the fact that the kid who caught the game-winning interception was a rookie. My understanding was this was a play that he was having difficulty with in practice. 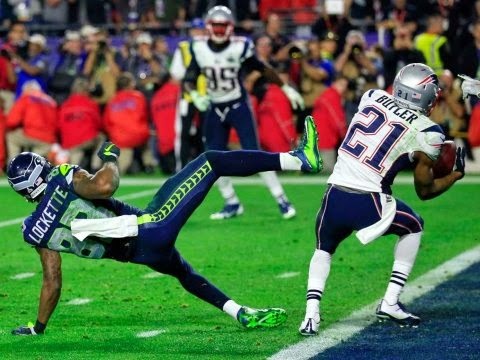 Had someone asked him prior to the game how the Superbowl would conclude, I can guarantee this outcome was not on his mind. 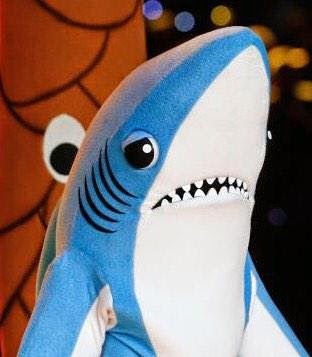 In those last few minutes, things were looking bad for the Patriots. Then suddenly, when the odds seemed to be stacked against them and it seemed that a comeback was highly unlikely, things turned around. This is another lesson to keep with us. Looking at what things “seem to be” and what we “think is going to happen” can be a trap. Because just like when things seem to be going good and suddenly turn bad, things can also go from bad to good in the blink of an eye. The game quickly went from exciting to just plain unbelievable when the last minutes of the game turned into an all out brawl. But where did that get anyone? The frustration was clearly understandable. But letting that frustration out on the field did nothing productive. In life, we have to roll with the punches. This is not to say that anger and frustration is not a part of it. Rather, when things don’t go the way we want – we should take it with our heads held high. As stated above – bad things are going to happen. In running, this might be a bad race or a bad season. In my case, I have learned this lesson in dealing with injury. While I would generally describe myself as anything but optimistic, I knew that if I let myself go down the “bad attitude path” in dealing with this injury I wouldn’t be able to handle it. So while some moping comes with the territory, I have tried not to indulge these thoughts. Instead I have tried to focus on what I can do. Because isn’t it ultimately just about having fun anyways? It is relatively easy to find messages encouraging people to push themselves to the limits or to take on new challenges. From advertising to social media – our culture is inundated with messages telling us that we can do whatever we want if we are willing to expend the time and effort. It is far more difficult to find athletically-driven messages encouraging an athlete to train smart or to exercise self-control (that aren’t related to weight loss). Admittedly, this discussion has been a theme on my blog lately. Just a year ago, I would have rolled my eyes at the thought of writing such a post and perhaps that explains my current obsession with the topic. I think that this is because through trying to successfully return from an injury, I have found that I am often required to act counter intuitively. I know that am good at pushing myself and not making excuses – in fact, even to a fault. I have run myself into and out of various injuries all in the name of adhering to a training plan. What I have never been good at is discerning the difference between a justifiable reason to cut back and an excuse. Prior to this experience I would have said something along the lines of if you weren’t training to your full potential it was an excuse. End of story. Which brings me back to the point that returning from injury is incredibly counter-intuitive for me. What often drives us as athletes is the ability to create a training plan and trust that if you follow it, good things will happen. This mean sticking to the plan, come hell or high water. Hard work reaps rewards. No excuses. Returning to running after an injury requires the adoption of an entirely different mindset. Because sometimes it seems as though there are more reasons not to run than there are to run. Specifically, things such as soreness and aches and pains that just don’t seem to fade away. Could you push through it? Probably. Should you push through it? Probably not. Even during a run, it requires being disciplined enough to hold back (even when you know that your body probably can handle it) because you know that you will pay for it down the line. It requires looking at the big-picture – with the end goal being your overall health and not just a PR at a particular race. Yesterday, per the advice of my physical therapist, I had an appointment to have my gait analyzed by someone who specializes in running biomechanics. This recommendation came after I was finally cleared to return to “normal” running. As I progressed through my program, I noticed that I was experiencing many of the same biomechanical complaints that I had prior to surgery. Notably, this was my absolute greatest fear prior to actually having surgery. (Well actually – my second greatest fear. My greatest fear(s) were that I would either wake up during surgery or never wake up from surgery at all). Since the whole diagnostic process leading up to the ultimate diagnosis of “labral tear/detachment” proved to be such a mystery, and my symptoms were somewhat atypical, I remained terrified that running would reveal that nothing had been actually fixed (and then, I would be even worse off than where I started, because now I would have lost all of my fitness as well). When I voiced these concerns, I was reminded that I also had to put my faith in the expertise of the amazing doctors that I visited. I was fortunate enough that my surgeon is one of the highest-regarded in the country. Prior to undergoing surgery, I did more than my due diligence. I consulted with various physical therapists, chiropractors, acupuncturists, regular physicians, sports physicians, etc., all of whom were in agreement that I was doing the right thing by having the surgery. So, returning to my appointment yesterday – my primary physical therapist had referred me to another physical therapist who specialized in analyzing runner biomechanics. He came highly regarded and I was excited to keep progressing and to try to identify why I was still experiencing this type of discomfort. When I arrived, he asked if he could perform the usual screening diagnostic prior to watching me run. I agreed and gave him my sob story (which I have committed to memory at this point) as he began going through the various strength tests with me. I had no doubt in my mind that strength was not the issue. Prior to having surgery, my hip strength was absolutely horrible. However, as I have moved through my treatment plan, I have received lots of positive feedback regarding my strength. The physical therapist confirmed this again yesterday- as he seemed genuinely impressed by my hip strength. This compliment made me extraordinarily happy, as physical therapy can be frustrating in that the results of it are not often directly evident. Take a step back!?! From the whopping 2-3 days that I am currently running each week?!? Cue self-control and ramp it up a notch. This is what I have learned thus far. 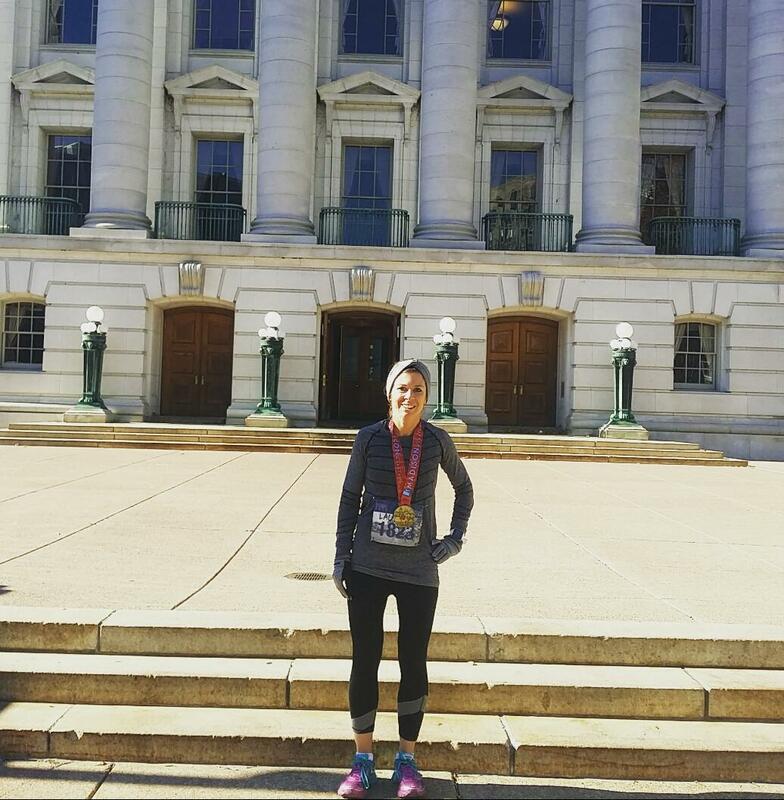 Being cleared to run after surgery doesn’t mean you can run wherever, whenever. Even when the formal restrictions have been lifted, there are still many rules dictating what you can and can’t do. The problem is, once you complete the 4 week return to run program, you’re largely on your own to determine what you should and shouldn’t do. Yes – the doctor’s certainly will weigh in if you complain of problems – but for that simple how much/ how long question is largely left for the patient to answer. For example, currently I am only running 2-3 days a week. This isn’t to say that my body couldn’t do more, because I’m fairly certain if I wanted to, I could. However, 2-3 days is what I have identified as a training window I can manage without feeling horribly sore (the bad kind). And even running this little, I still sometimes will find myself limping around the next day (insert red flag). So the simple questions don’t always have simple answers. Can I run? Yes. Could I run farther than I am allowing myself to? Absolutely. Could I try to go faster? Definitely. Would it feel good? For a split second – maybe…but then what about after? Every run on the treadmill I am tempted to keep going. Just another 5 minutes. Just a couple of seconds faster. But I have generally resisted. This is the type of self control I am talking about. Not the self control that makes you do something. It’s the type of self control that allows you to resist something that every ounce of your being aches to do. So in a world where there are seemingly internet memes for everything, I’m thankful that there aren’t an on this topic. Because it isn’t as simple as “just do it.” Because recovering from an injury is hard and can’t be boiled down to single sentence assurances. Because this issue is tough – and warrants a full discussion. 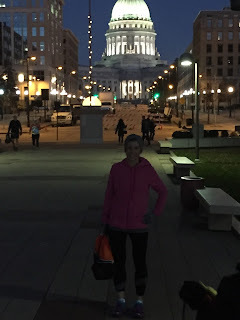 Today I want to talk about *gasp* non-running fitness activities (read: cross training). 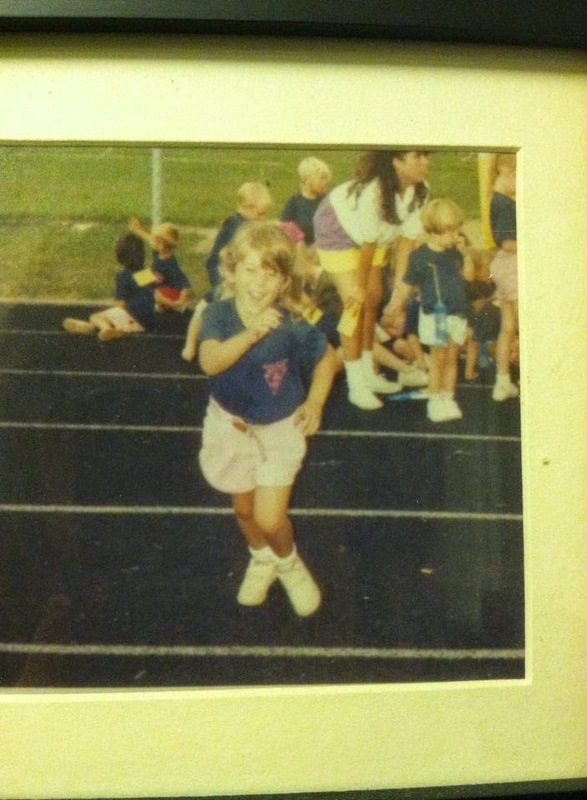 Before I was injured, I had absolutely no interest in anything that wasn’t running. In part, I think it was because running already took up every free minute I had (to the detriment of everything else, including stretching). Not only was that not sustainable – it wasn’t smart. However, there is always a silver lining. In this case, it was discovering a whole world of non-running fitness activities that I actually enjoyed. Now that I am finally starting to run again, I am trying to be extra conscientious of my body. This includes making sure that I am incorporating non-running cardio, as well as strength and core work and mobility exercises. 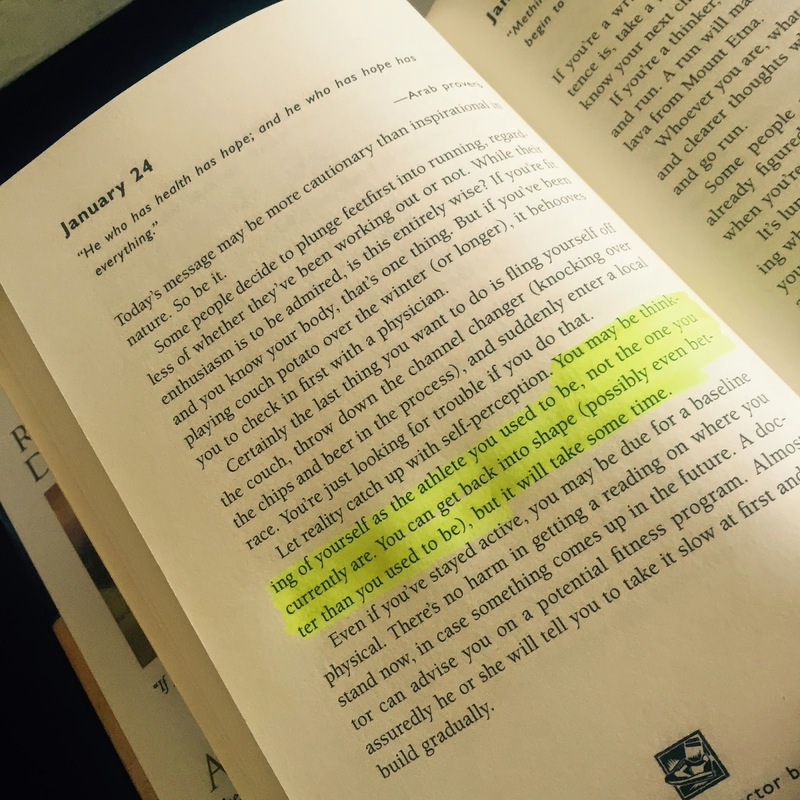 This was the message today in my Runner’s Book of Daily Inspiration, and I think it is pretty on-point. The first few weeks following surgery, I was ecstatic just to do any physical activity. Biking and the elliptical took on a whole new life for me. Now that I have been cleared to run again, sometimes I find myself falling back into my old ways and wanting to only run. But quite frankly, my body isn’t ready for that. So this morning in an act of great self-restraint, instead of running I opted for the elliptical. I am trying to listen to my body (and it’s really really hard). When I came across this sentence – it really spoke to me and reaffirmed that progress takes time. The following is a list of some of my newly-discovered favorite activities that I thought I’d share with you all. Please let me know what you think (or if you have any suggestions for new workouts)! Cycling – Cycling is the only other workouts that I have found that can make my legs “feel the burn” the same way that running does (admittedly, it usually takes about a four hour ride to get there). Riding outdoors is a great way to be outside and enjoy the fresh air, while giving your running legs a bit of a break. Last year I bought a tri-bike (with the intention of someday doing a triathlon) and it was the best decision I could have made. Another perk – if you take it inside – spin class is usually much more exciting than the treadmill. In Chicago, there are boutique studios such as Flywheel that make your workout feel more like a nightclub. Some gyms also have spin bikes (as opposed to the boring-old stationary bikes) that you can program to do a spin class style workout on your own. 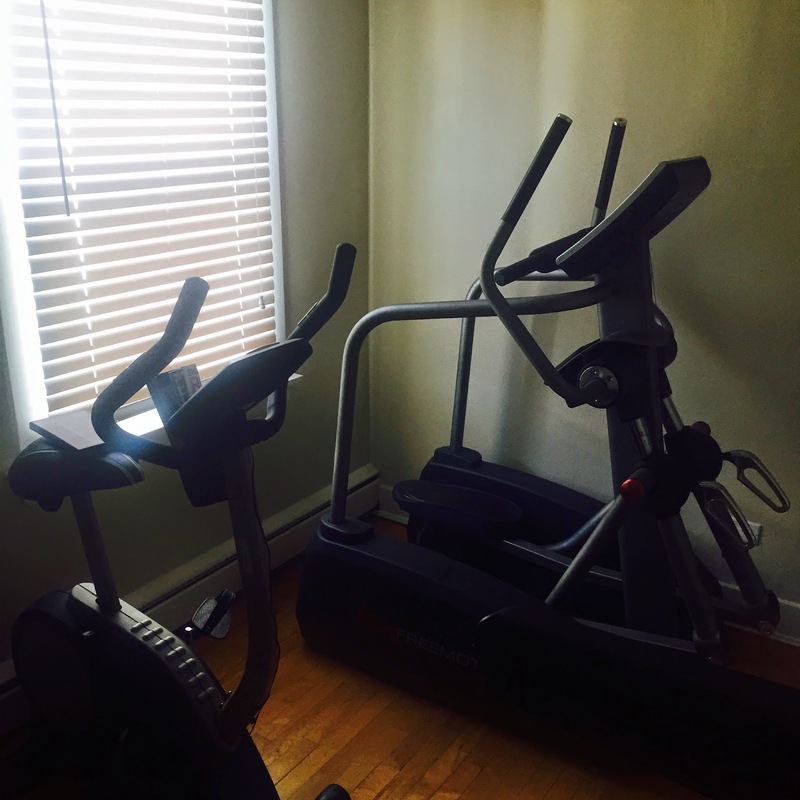 Nothing fancy – but my own little workout room with bike and elliptical, both found on Craigslist for dirt cheap. Both were essential in my recovery from surgery. Elliptical – I generally don’t like the elliptical, but it is a necessary evil. I have found a few elliptical workouts specifically designed for runners that integrate components like heart rate, cadence/rpm, and intervals to try to simulate running-type workouts. One of the ones that I have used can be found here. I like to have a plan when I’m using the elliptical or otherwise it gets way too boring for me. I am not great about doing strength and core workouts when I am at the gym. Usually I get annoyed because it is too crowded and just want to leave. Unfortunately, most of the classes they have don’t work great with my schedule. However, I have found quite a few really good workouts that I have been able to do from the comfort of my home. 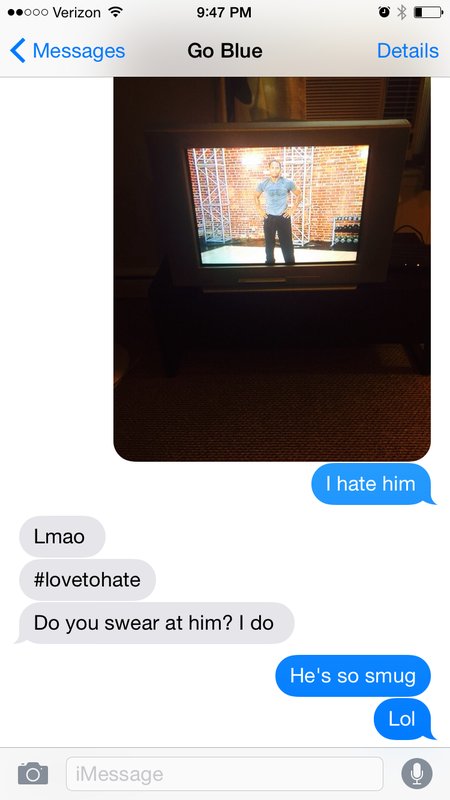 Comcast On-Demand- Workout videos can be hit or miss, but finding a good one is gold. Recently I stumbled upon quite a few good ones on the Comcast On-Demand network. While there are a few trainers on there can be extremely annoying (you’ll know them when you see them), I have been a huge fan of the videos with trainer Robert Jones. The workouts are challenging (I literally find myself grunting as I am trying to finish some of the workouts), the exercises are solid, and he is extremely motivating. He also has quite a broad range of videos – upper body, lower body, cardio and core (with my favorites being Extreme Core and Cardio Core Combo). They generally range from 10-25 minutes, so they are the perfect length to complete immediately after a run. If your really loving these workouts, you can by additional DVDs here. Unbreakable Runner – Unbreakable runner is a book written about the Crossfit Endurance program. Regardless of what camp you are in with regard to running philosophy, the book contains some great strength training workouts that you can do at home. It also includes drills to do prior to each workout to help increase midline stability and a mobility routine incorporating the foam roller. Very interesting book. I have always followed plans by Pete Pfitzinger, so the entire philosophy is quite different than what I am used to. I do like the runner-specific strength exercises that it includes, which can be hard to come by. What are some of your favorite non-running activities? One of the most difficult things about slowly returning to running is that I am no longer able to justify continuously purchasing new running gear. While training, my wardrobe tends to rotate between running clothing (the actual clothes I run in), “recovery” clothing (essentially running clothing that is still acceptable to wear in public), and work clothing (I guess have to look like a real adult sometimes). So today, I though that since I’m fighting the urge to shop for gear, I’d share some of my favorite pieces. Please note that this post is based solely on my own opinion and experience – what works for me might not work for everyone! I found these racing shorts completely by accident. Last summer while I was perusing the clearance rack at Gap, I found a pair of spandex shorts for about $8.00. I had been looking for a pair of black racing shorts and figured that they would be worth trying out. These shorts ended up being my favorite pair of shorts for racing – especially on hot days because they wick sweat very well. I wore them for my last marathon (Chicago 2013) and had absolutely no problems with them riding up or stretching out. With all the money I have doled out on running clothes over the years, it’s amazing that my favorite pair of shorts ended up being the cheapest! I really wanted to hate these, but after hearing so many people rave about them I figured I would give them a try. These shorts fit me perfectly – not too long and not too short. They also have two front pouches in the lining for gels as well as a zipper in back, which is perfect for longer runs. Extra perk – they come in some pretty fun patterns and are acceptable to wear around in public! One thing worth nothing is that with Lululemon, I usually find myself often ordering up a size or two from my regular size. Photo from Lululemon. You can buy these shorts here. I love the Under Armour Victory Tank. They come in lots of colors and are comfortable to run in. Another great thing about this tank is that you can find it on sale at stores like TjMaxx and Marshalls for about half the retail price. Rocking the UA victory tank at Ragnar. See more options here. I love this watch! While there was a bit of a learning curve (I upgraded from the 305, so the touch screen took a bit of getting used to) once I figured out how to operate it, I couldn’t live without it! It’s very light weight and easy to use. I used to joke that in comparison, running with the 305 was like training with a weight vest on. While this watch is a little pricey, I think it’s completely worth the money. 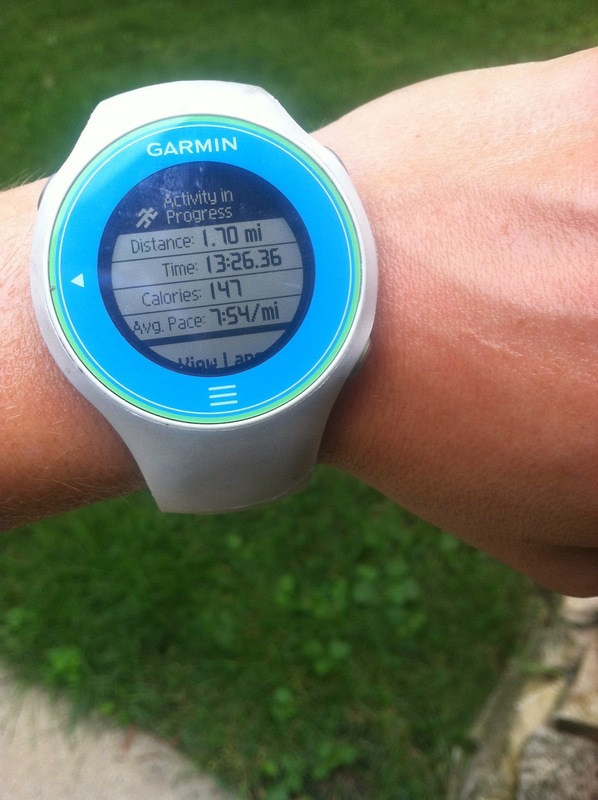 I love the Garmin 610. You can also change the settings to “cycling mode” which is extremely useful for cross training. Find the most recent versions here. Sweaty Bands are among the few headbands I have found that are able to both stay put during my runs and not give me a massive headache. They also come in more patterns/colors than you could possibly imagine! 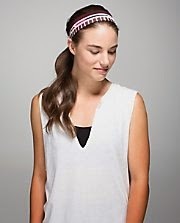 The Lululemon Swiftly Headband/ Fly Away Tamer are also among my favorites. While they slip a little bit more than the Sweaty Band – I have never had either fall off during a run. Photo from Lululemon. Find more options here. Shoes have come such a long way since my running days in middle school and high school. Because I have wider feet, I always ended up in “boring” shoes in drab colors. Now, almost every shoe brand has a wide array of color offerings (because let’s be real – I run faster in colorful shoes). Nowadays, I find myself switching shoes somewhat frequently, but have found that both Saucony and Mizuno work well for me. Most recently, I ran in the Saucony Guide for training runs and the Muzuno Elixer (now discontinued) for races. 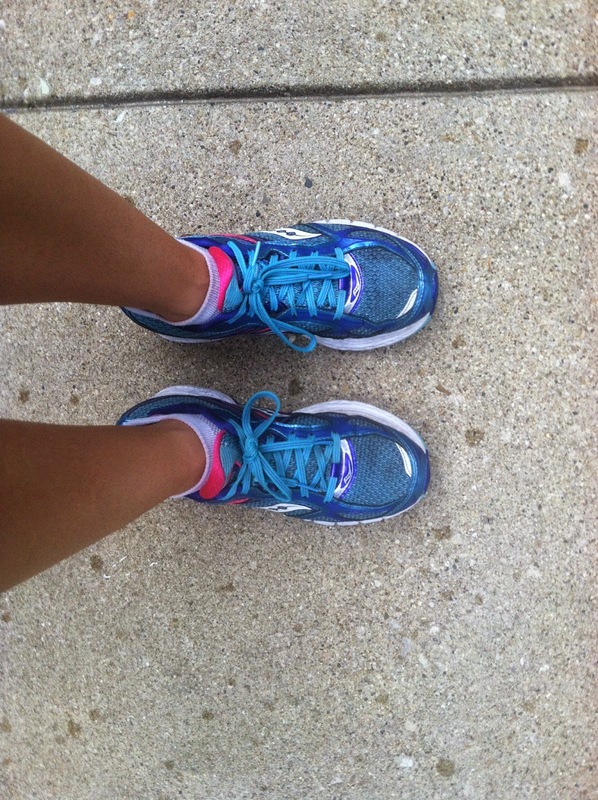 Saucony Guide – One of my “go to” training shoes – find them here. Anyone that has run with me knows that I have absolutely horrible nutrition/hydration habits. It doesn’t help that I have found most gels to be pretty rough on my stomach. After much experimenting, I have found that the Hammer Gels seem to work best and cause me the least amount of GI upset. As far as hydration, I used to be a strictly Gatorade and water gal. Now that I have started cycling, I have become a big fan of Nuun tablets. They are a lot less sweet than Gatorade and seem “lighter” in my stomach. I haven’t tried them for running yet, but I expect that I will incorporate them into my running nutrition regimine as well. Nuun also comes in a ton of different flavors! I will completely admit, prior to my injury, I was one of those runners. At this time last year, I posted about frozen eyelashes and completing long runs on the frozen tundra (#noexcusesin2014). I remember thinking how tough I was running in sub-zero temperatures. On New Years Day, I ran in about a foot and a half of snow (unshoveled and unplowed) so that I could make sure I started 2014 with a run in my log. I ran many of my runs that winter in the bike lanes, at night, dodging city buses and ice patches. 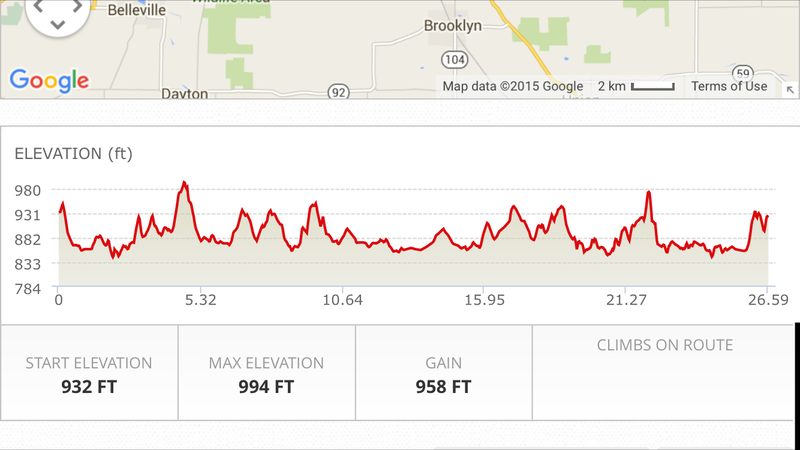 On those few days it got really really bad, I would do my long run (16+ miles) on a treadmill. I thought that after toughing it out and quashing excuses, I was setting myself up for real success in 2014. And then I slipped on ice and fell. At first, I had no idea the effect that the fall actually had on me. It seemed small enough – a bloody elbow and a bruised hip. 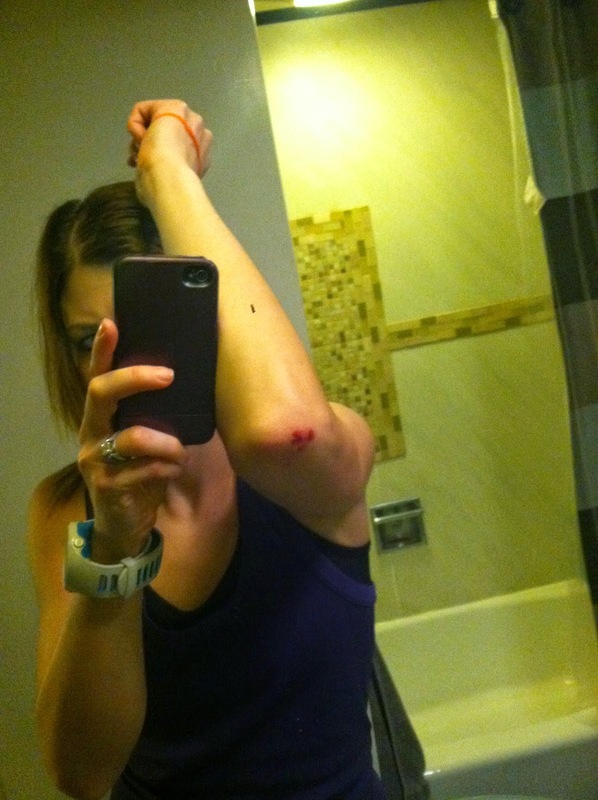 While shaken up a little (I fell in the middle of the street), I was still able to muster through the rest of my run. However, after that, nothing was the same. Injuries and tightness that had been building over the past few months grew more nagging and eventually intolerable. 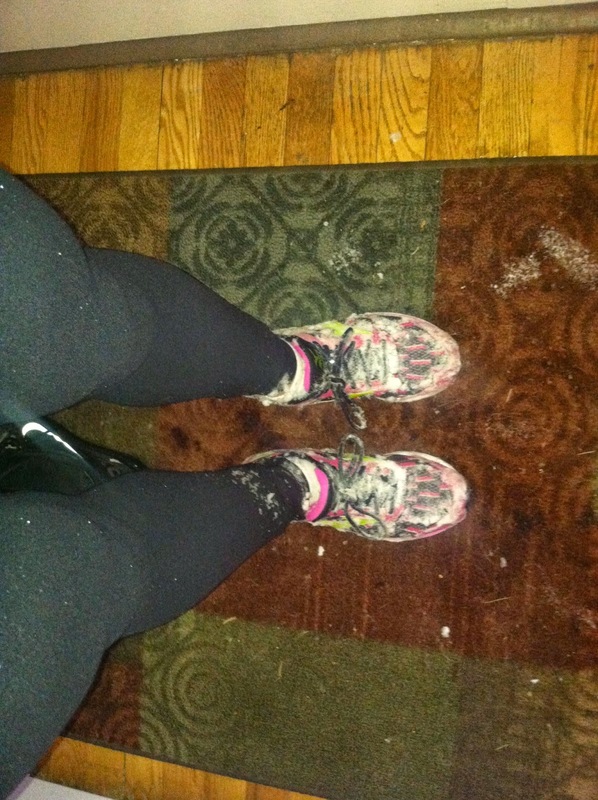 By the time that the weather finally broke and spring came, I was completely unable to run. After toughing it out through the worst winter on record – I was down for the count. In all fairness, the fall alone did not cause me to have surgery. But all of the doctor’s agreed that it was the final straw that essentially pushed my teetering issues over the edge. Because the cartilage was already frayed – the fall basically ripped what was already hanging by a thread. However, another important factor was how messed up my gait became prior to all of this because of running in poor conditions. Constantly running outside, dodging ice patches, inevitably causes you to adjust your stride. In doing so, I opened myself up to a whole slew of overcompensation issues, that further messed-up my stride, which further contributed to the injury. The treadmill runs contributed to this too. It seemed that no matter what option I took, I was doing something that compounded already existing muscle deficiencies. Hindsight is 20/20. But I can’t help but wonder, had I taken a step back, and perhaps been a little smarter with my training, could this have been avoided? At the time I was so terrified of losing my hard-earned fitness and I was willing to do anything to keep it. To be clear, I am not advocating that people not run outside during incremental weather. 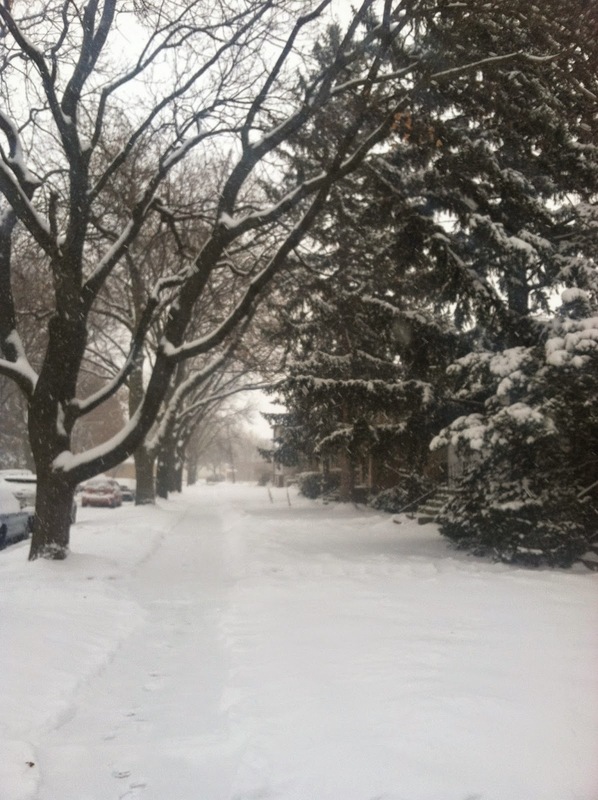 When you live in Chicago, running in snow is part of the territory (as is the treadmill). To be a runner here, you have to be willing to tough it out for a good 3-4 months of the year. My point is this – that running smart is just as important as running tough. Bragging rights are great. But looking back, I can think of at least 15 runs that passed the line of “tough” and into the line of “stupid” that I wholly believe contributed to where I am now. I have missed almost a full year of running. That fitness I was so terrified of losing? It’s gone. It’s back to square one. And rather than lecture, I write this post more as a note to self. Because when I am finally healthy again, I want to remember exactly how I felt now. I do not want to relearn this lesson – once was enough. It’s officially September, which marks the end of summer BBQs and the beginning of pumpkin everything. It’s also the perfect time to reevaluate bad eating habits to prepare for the impending winter hibernation. Personally, I am an absolute slave to sugar. Moderation just doesn’t work for me – as soon as I have even just a little taste, my body develops insatiable cravings for sweets. Last night as I was enjoying a pint of ice cream, I decided that I needed to make a change once and for all. Since I haven’t been running, my body doesn’t always feel like “me.” And because I’m not running, it’s become less about fueling (good) and more about indulging (mostly bad). So when I received an e-mail reminding me that a new Whole 30 challenge started on September 1st, I decided to go for it. To be clear, I enjoy food. I mean, really enjoy it. But I also believe that sometimes we just need to set the reset button to create healthier habits. I have never been one to jump on the fad diet bandwagon and I have been fortunate enough to never have had to diet to lose weight. When I was training, I was always too afraid to make any BIG dietary changes because I didn’t want to risk any initial detrimental impact to my performance. But now, there are no more excuses. For those who haven’t heard of the Whole 30 – it is basically about eating “real” food for 30 days, focusing primarily on meat, eggs, fruits and veggies. After the initial 30 days, other foods get reintroduced back into the diet. One of the touted benefits is that it fights inflammation – and for someone with a family history of a whole lot of autoimmune issues this is a huge incentive. The website is extremely helpful and full of tough-love (http://whole30.com/whole30-program-rules/). Anyone who knows me knows that this is a big change for me. A few years ago, I attended a CrossFit party with my husband that took place at Brazilian Steakhouse (a Paleo inspired event). As they were all drooling over the meat-on-a-stick I was stuffing my mouth full of cheesy butter rolls and pasta salad from the salad bar, thinking that there was none the wiser. My husband has heard his fair share of my “Paleo is stupid” rants over the years, and to his credit, he hasn’t said a negative word about my latest endeavor. I want to be clear that just because I believe that is the right dietary “fit” for me at this point in my life, everyone is unique and will have their own set of beliefs and needs. While I encourage everyone to pursue a healthy lifestyle – I fully recognize that what a “healthy lifestyle” is looks different for everybody. My purpose of writing this is not to promote any way of eating over another, but rather to encourage everyone to think about what “healthy” looks like in their lives. I am excited to see how my body reacts to this change and I will be posting recipes for any meals that turn out to be particularly delicious. As I was going through my old photos, I came across this little gem that I saved from Runner’s World. Couldn’t resist sharing! This winter has unquestionably been rough. On two occasions this last week I have finished a run bloodied and/or bruised. Once from taking an ugly tumble on a patch of ice and the second the result of a nose bleed caused by too many miles sucking dry air on a treadmill. While I have resigned myself to the fact that certain aches and pains are inevitable for a runner, I never considered running a sport that would leave me in a state looking like I was the victim of a boxing match gone horribly wrong. I am fairly convinced that even the news casters, who ordinarily I am convinced take some sort of sick pleasure in the “unusual weather,” are over the conditions as well. It seems as the entire city has been beaten down by the polar vortex (parts I, II, and III) which only seems to be outdone by the snow that inevitably follows. Even runners who typically enjoy winter running are throwing up their white flags and pleading for mercy. Too many mornings I have found myself on the treadmill (problem #1) cursing as the ten day forecast as well as my decision to train for a spring marathon. 1. The treadmill stops counting after 100 minutes and starts over at 0. While it is still easy to track time with basic math skills, there is something slightly discouraging when you are at the gym for almost two hours and the clock reads 20 minutes. Similarly, the counting after 10 miles also changes. 3. It is possible to be both sweaty and numb at the same time. It is nearly impossible for me to dress weather appropriate. Somehow, no matter how I layer, I end up hot in some areas and cold in others. 4. Misery loves company. Friends and teammates make everything better. 6. I am tougher than I thought. 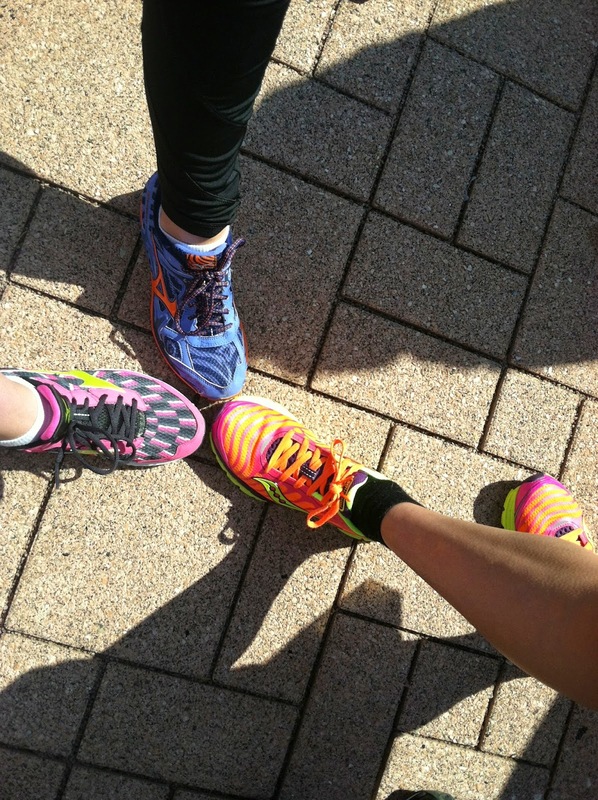 So to all of us runners – Kudos. We are all tougher, mentally stronger, and more prepared than we ever could be if all we ran in were optimal conditions. 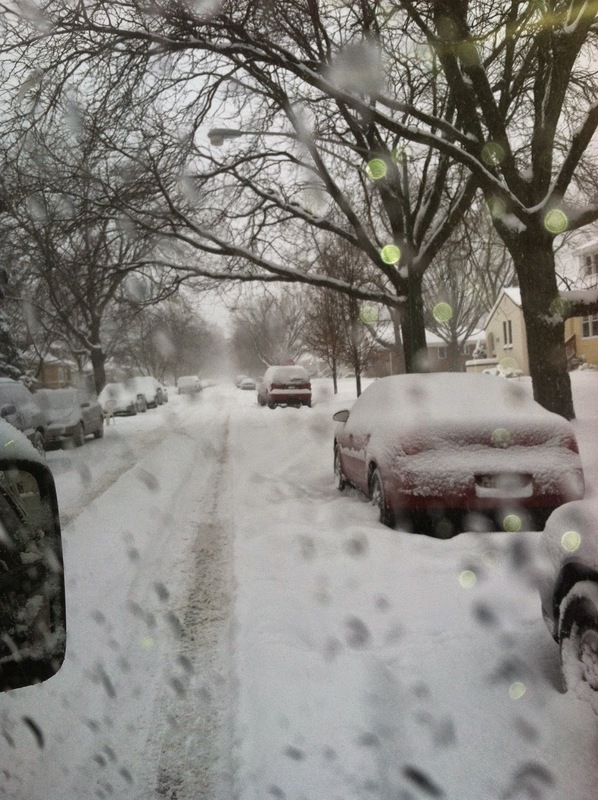 With that being said… WHERE IS SPRING?!?!?! Some days, it seems that the weather fits my emotion perfectly. Today I was crabby. Mother nature seemed to agree. By the time I fought the newly implemented Ventra system, secured myself a seat on the el, and sprinted to make the transfer between the train and the bus, I was spent. As I plodded in the pouring rain from the bus stop to my front door, all I was thinking was how miserable I was and how the last thing in the world that I wanted to do was go out in that sopping wet mess. I have come to realize that for me, the key to training (and racing for that matter) is to stay in denial as long as possible and (at the risk of sounding cliche) “just do it.” Stop thinking of excuses. Don’t stop to snack, or check Facebook, or check the weather one last time. Just change and walk out the door. So that’s what I did today. I wish I could say that today’s run was transformative or that I found some sort of inner peace while I was out there. I didn’t. There were minor annoyances (*I overdressed. The hood on my rain jacket kept falling off my head. I couldn’t see my watch in the dark*) and bigger concerns (*almost getting hit by a number of careless drivers or pedestrians*). But I can unequivocally tell you one thing… I don’t regret having gone. 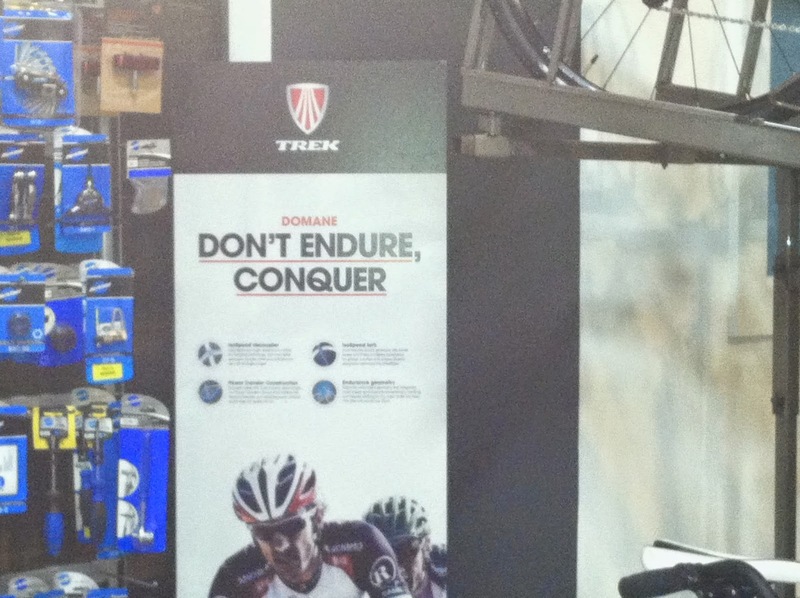 I imagine it is the same for most endurance athletes. Principles of physics establish that a “body in motion stays in motion” and I am convinced that this is especially true of runners. While this is supposed to be a time to “relax” and “recover” after months of training, the novelty of relaxing seems to last only a few days before I am itching to create a training plan that will allow me to become better, faster and stronger (cue Kanye – which incidentally is a cornerstone of my racing mix). As admitted before, I am a full blown Type A personality. I love plans. I love my training log. 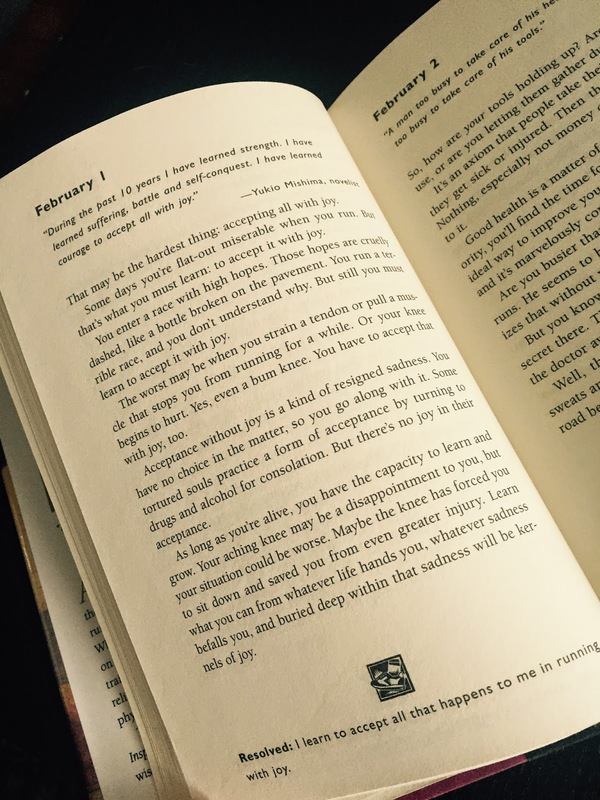 While liberating for the first few days, there is a tension inside between enjoying the freedom of not being on a schedule and getting anxious to start working toward a new goal. I think I would be more accepting and appreciative of the down time if I had a timeline for what was next. So… any suggestions for a spring race? So last Tuesday when I returned to work and my coworkers asked how the race went, I excitedly went into a mile-by-mile recap. After politely listening to me describe the blisters that set in at mile 22 and the accompanying leg cramps at mile 24 (solidifying their belief that I am a nut job and that no sane person would repeatedly put themselves through this), they usually follow up their questioning with a comment along the line of “well, now you get to rest and relax.” Rest and relax?!? Heck no. Before the soreness of my last 26.2 endeavor has even subsided, I have already started planning for the next marathon. I know rest is important and I know it is necessary to make me a stronger runner. I know that this time is the best opportunity to allow my aching body to heal itself and recover from the months of training that I have put it through. I know all these things in my head. The problem is in my heart. Because right now, I am still amped! I forced myself to take off all of last week and not attempt running again until the weekend. The first run back is always humbling, usually consisting of an “easy pace” that makes you question the feat you accomplished just days before. Tightened muscles, an awkward stride, and aches and pains that seemly arose from nowhere. It is this first run back that confirms the importance of rest and easing back into a routine. So, as the days get shorter and the autumn chill sets in, I *will* enjoy this period of easy and relaxed running. Because soon enough there will be another race on the horizon and another schedule to settle into. For now, its just running.